Filters for Waterborne Microorganisms sterilizing grade membrane 0,2 μm. Reduces the risk of water associated nosocomial infection. Maximum use : 31 days. 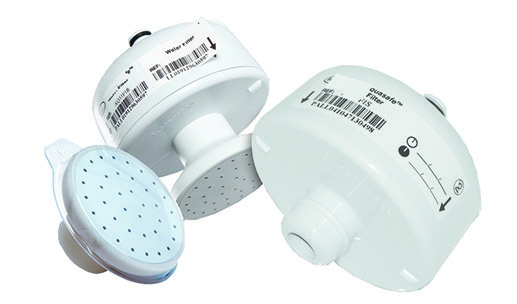 Compatible with common systemic heat and chemical disinfection. Filtration membrane size : 550 cm². Maximum continuous influent water temperature : 60°C. Maximum upstream operating pressure : 5 bars.